Overall, at 3 out of 5 stars, I think Family Flora Daily Balance Probiotic is slightly above average. 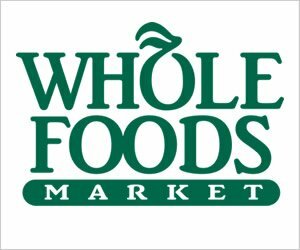 This product is very unique because the probiotic comes in a powder form (stick pack). You only take 1 stick pack per day and you mix the contents into any cold food or cold beverage. The stick packs are 23 calories and contain 6g of total carbohydrates. I like the convenience of this probiotic and you don’t have to refrigerate it, which makes it much more stable. This probiotic also contains a prebiotic in the form of organic inulin. I really like this addition because a prebiotic will help feed and protect the probiotic once it’s in your body. I want to rate this product higher because I like the concept of it but there a few things that holding it back. The powder is absolutely disgusting. I mixed it with water and I had to chug it. I started to dread taking it every morning because of the awful taste. If you mixed it with a juice or food it might be better but I had a bad experience with it. The powder also refuses to dissolve all the way. This probiotic is also not kid-friendly and it’s intended for adults only. The cells are only guaranteed until the time of manufacture, which is a bummer. It’s better when it can be guaranteed until the expiration date. 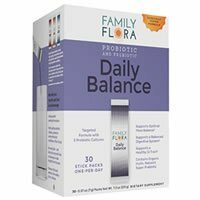 Overall, Family Flora Daily Balance Probiotic is a slightly above average probiotic because it’s unique, convenient and has a prebiotic but it tastes horrible, doesn’t mix well and is only safe for adults. Daily Balance Probiotic contains 15 billion cells in 3 probiotic strains, including a prebiotic. This strain is widely used in probiotic supplements and for good reason. Lactobacillus acidophilus has been researched to show improvements with many digestive problems such as gas, bloating, constipation and diarrhea. This strain may also help treat vaginal infections and make lactose digestion easier for those with lactose intolerance. 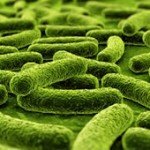 Lactobacillus acidophilus has been researched to show a potential lowering of high cholesterol levels. Another strain that I particular like is Bifidobacterium Bifidum. Bifidobacterium Bifidum may help prevent yeast overgrowth in the body and decrease allergies. This strain has also been researched to show a potential decrease in inflammation of the body, an increase in immune function and possible treatment for acute diarrhea. Daily Balance Probiotic also contains a prebiotic, which is organic inulin (blue agave tequilana). I like the addition of a prebiotic (especially organic) because it helps the probiotic survive once it’s in your digestive system. Daily Balance Probiotic doesn’t contain any major allergens. However, this product is manufactured in a facility that also processes milk, eggs, wheat, and soybeans. Keep that in mind if you’re severely allergic to any of those allergens. Daily Balance Probiotic is non-GMO, Kosher and sodium free. As a perk, the probiotic powder contains no artificial flavors, colors, or sweeteners. The only other ingredient is organic inulin in the form of blue agave tequilana. The inulin is the prebiotic that helps feed the probiotic. For a box of 30 stick packs lasting one month, it costs $18.99. This works out to be $0.63 a day to take this probiotic. This is very affordable and comes in a bit lower than average. 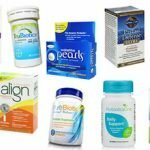 I didn’t experience any negative side effects while taking Daily Balance Probiotic. 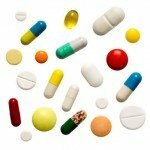 15 billion CFUs is on the higher end for a daily probiotic so it may cause side effects in others. Family Flora offers a 90-day, 100% money back guarantee on all of their products. You need to have the original receipt, original UPC, full name and mailing address and reason why you aren’t satisfied. Mail in your unwanted product and you’ll get a full refund (minus any shipping and handling costs). I appreciate companies who offer money back guarantees, especially allowing up to 90 days to try the product. To buy Family Flora Daily Balance Probiotic, click here.